CAUTION! Reading the following may provide shivers down your spine and involuntary shuddering…Read at your own risk! 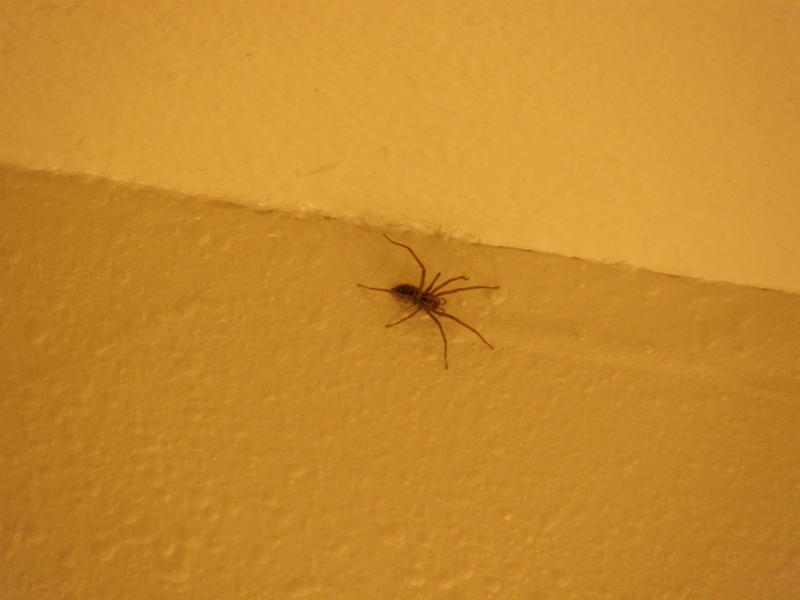 If you’ve been reading my blog for a while, you’ll know that I’m not a fan of spiders. 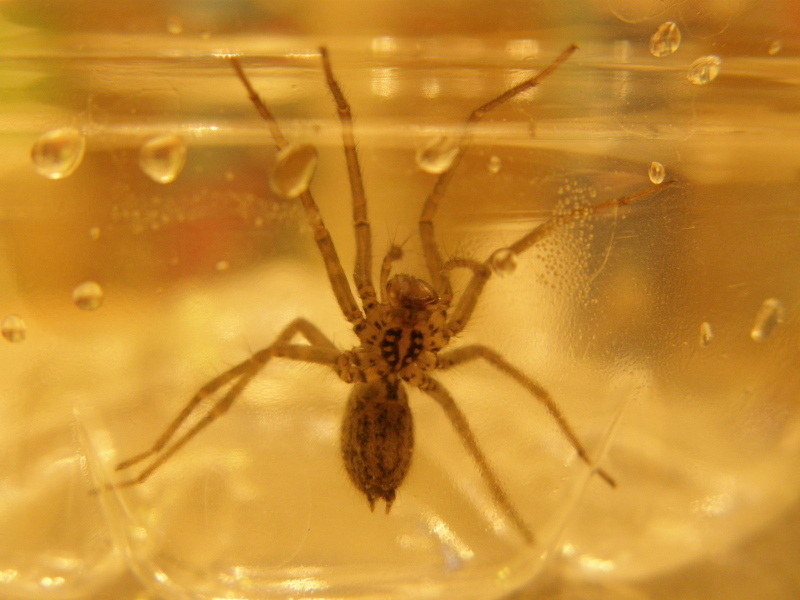 You’ll also know that for the past 2 years (going now on the 3rd spider season) I’ve been having trouble with our local spider population…namely those big ugly ones that look for all the world like Hobo Spiders. Which are poisonous…necrotizing poisonous. After searching the web frantically trying to find some kind of information that would relieve my anxiety, I actually really only succeeded in finding a lot of mis-information. It is really very hard to positively identify a true Hobo without a microscope and an entomologist…which only served to make me all the more nervous. But, finally I found something that has given me the tools to positively identify what is NOT a Hobo…thus relieving me greatly. I hope to now put the tools in your own hands, so that you can do the same! Here is a PDF file detailing how the arachnid layman can tell the difference between what is and is NOT a Hobo. Here this bugger is up close…Big, huh? Scary, isn’t it? But let’s look closer… see the racing stripes on his first larger section? This means he is NOT a Hobo! Whew! 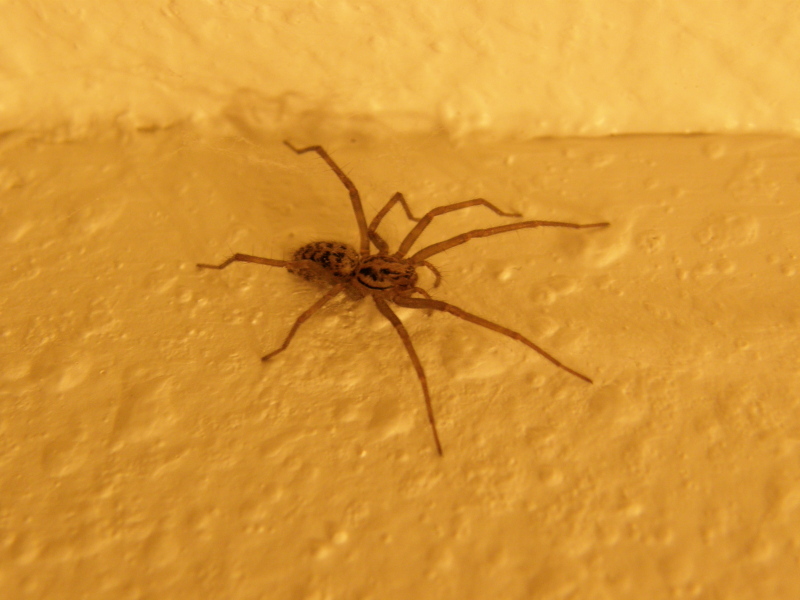 Here’s another pic just for good measure… You can see the elongated spinneret (I think?) coming from the hind end… these more match the pic of the Giant House Spider, of which apparently there are plenty in Washington State, and are a very close ringer for the Hobo. I’m feeling so much better about this whole thing that due to the fact that my model did such a fine job of posing for me, he was happily deposited in the WAY back corner of my back yard bushes to find another place to scuttle along. **Please Note: Obviously, I am a complete novice and am going by my understanding of the information provided in this PDF file. If you are at all in doubt about what kind of spider you have, please take a specimen to your health department to have it properly identified!!! Vetter, R. and A. Antonelli. 2002. 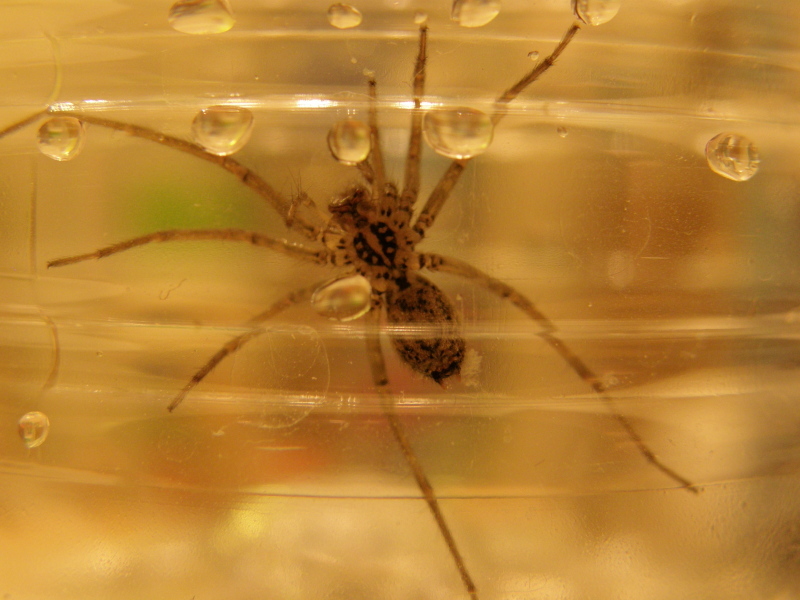 How to identify (and misidentify) a hobo spider. Washington State University Cooperative Extension Pest Leaflet Series #116. This entry was posted in Life, Pets, Spiders, Spooky Things. Bookmark the permalink.